A tag is one of the predefined taxonomy of WordPress. 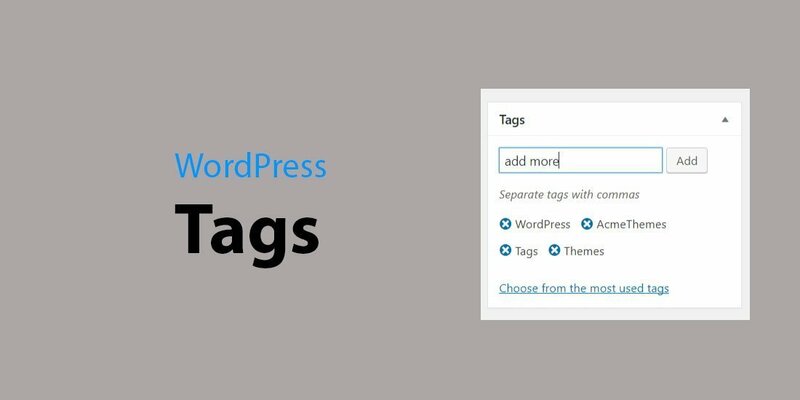 A tag is one of the predefined taxonomy of WordPress where users can add their own tags like the category in WordPress post. The category covers the wide range of post where tags cover the narrow range of that specific category. One category may have more than one tags. Tags are somehow similar to the keywords used in the posts. Categories and Tags offer the great opportunity for engagement and traffic on your site by helping visitors to find the similar or related post. In WordPress, if the user doesn’t select the category, the post will be automatically filed in the default category. But in the case of Tags, you need to make tags yourself and no any default tags are there. You can create as much as required tags. If you have a post, you can create numbers of tags of that post. For example, if you post categorized under Movies, possible tags are Love, Action, and Comedic etc. 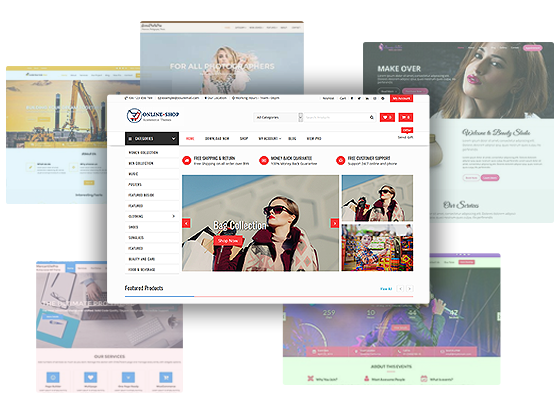 In case of the category, if users click on the category, it will be redirected to the category page where all the post of that category is listed. Same as category, if users click on tags, it will redirect to that page where all the post of that tags is listed. 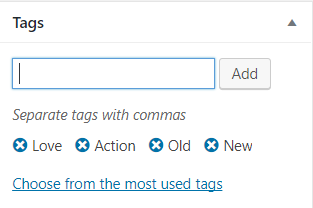 We all know that Hash Tags on the Twitter right, so just like that WordPress also uses tags in the similar manners. Tags can be displayed anywhere in the widget that is using WordPress core widget. This also helps the visitor to find the similar topic which they are interested in.